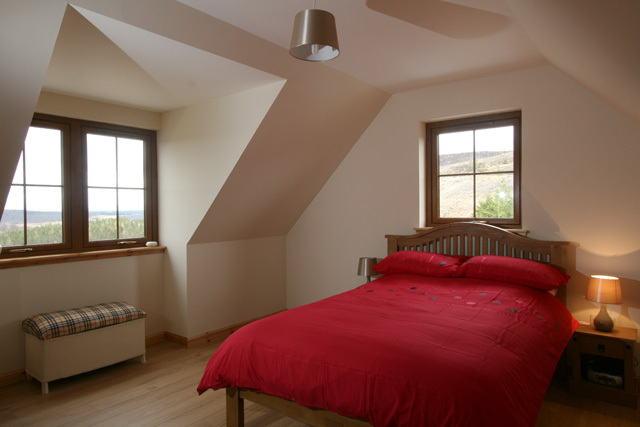 Carn Loch Cottage is a newly built property located in an elevated position just a short distance from the village of Farr on the South Side of Loch Ness. 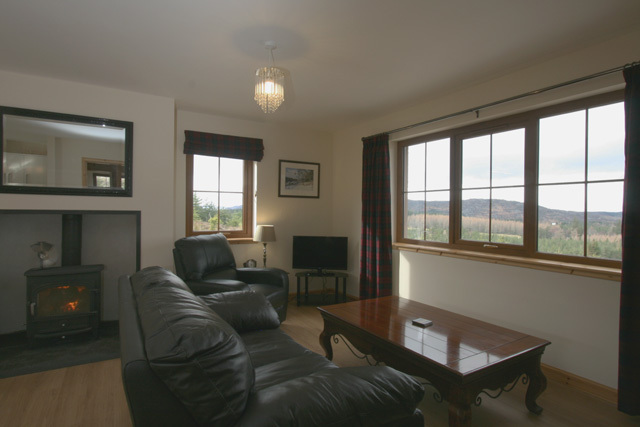 The property enjoys uninterrupted views across the spectacular Strathnairn countryside, and makes an ideal location for anyone looking for a peaceful location for a holiday. 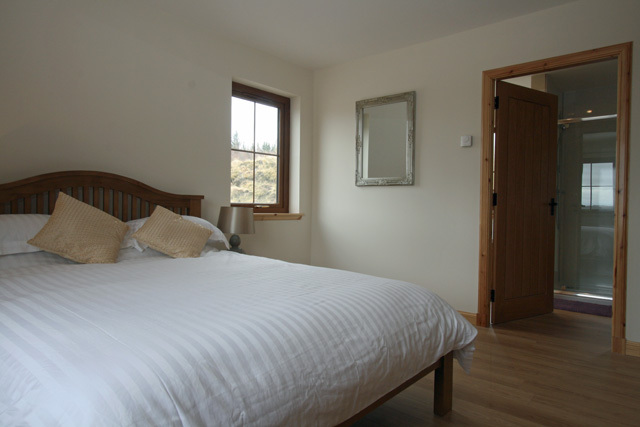 However with the City of Inverness just a twenty minute drive away, this property will also appeal to those guests looking for the wide range of facilities that the City has to offer. 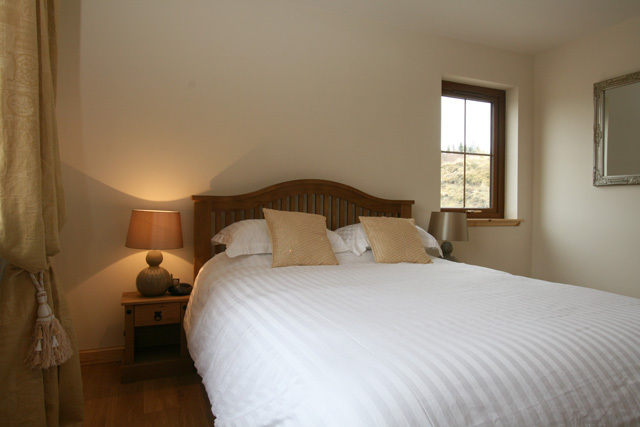 Throughout the property has been tastefully furnished and is equipped to a good standard. 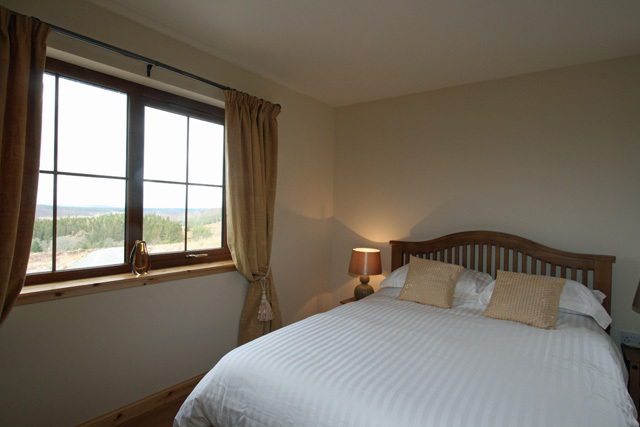 The accommodation is located over two levels and the majority of the rooms offer views to the surrounding countryside. On the ground level a large spacious hall leads to an open plan sitting, dining area and kitchen, and this room benefits from a wood burner, and offers direct access to the patio area located to the rear. 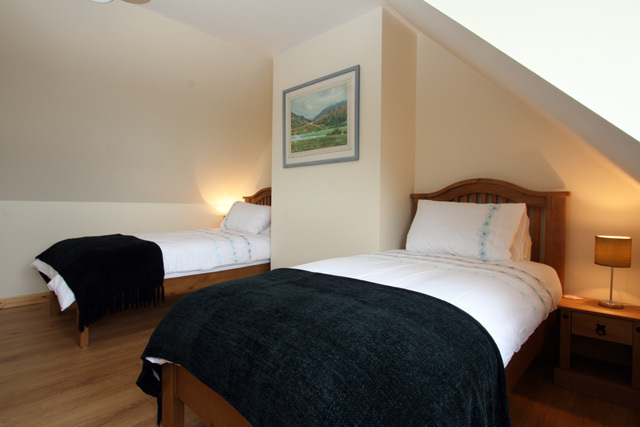 Further facilities on this level include a master bedroom with an en-suite bathroom complete with a bath and separate shower and a large spacious utility room. From the lower level a beautiful staircase leads to the upper level and a further two bedrooms, a double and a twin, and the shower room. 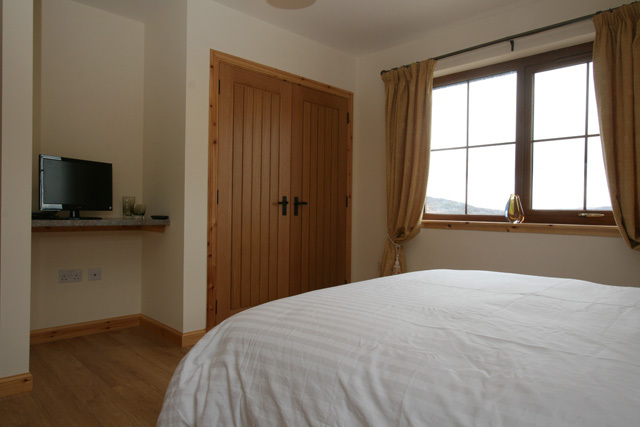 The bedrooms on this level have traditional combed ceilings and quality oak flooring is fitted throughout. Heating in the property is provided by oil fired central heating and the owner supplies unlimited fuel for the wood burner. Outside the garden provides the perfect place to sit and relax after a day exploring, and ample parking space is available. This part of South Loch Ness provides quiet country roads and open countryside, and the South Loch Ness Trail, making it ideal for an outdoor holiday, no matter what your outdoor pursuit. The quiet location and the surrounding moorland make it a wildlife haven, with red grouse, mountain hare and red deer, and an abundance of native birds. The City of Inverness offers a wide arrange of facilities including a wide selection of shops and restaurants, an art gallery and museum, the Eden Court Theatre, and Culloden Battlefield and Fort George are located just a short distance from the City. Perhaps the best way to see everything that is on offer is to take a trip on the City Sightseeing Bus Tour. The Caledonian Canal also passes through Inverness and from here boat trips are available to Loch Ness with Jacobite Cruises. 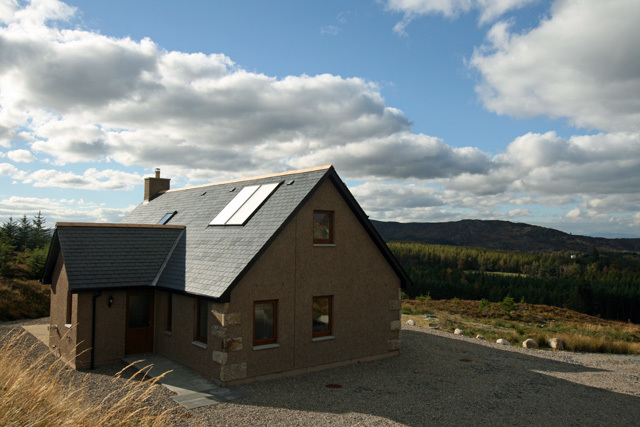 Further afield the location of Carn Loch Cottage offers a perfect base for exploring, with the A9 north to the Northern Highland and the West Coast, and South to Aviemore and the Cairngorm National Park just a short distance away. Open plan sitting room, dining area and kitchen. Sitting room, leather sofas, wood burner, Freesat TV, DVD, CD, radio. 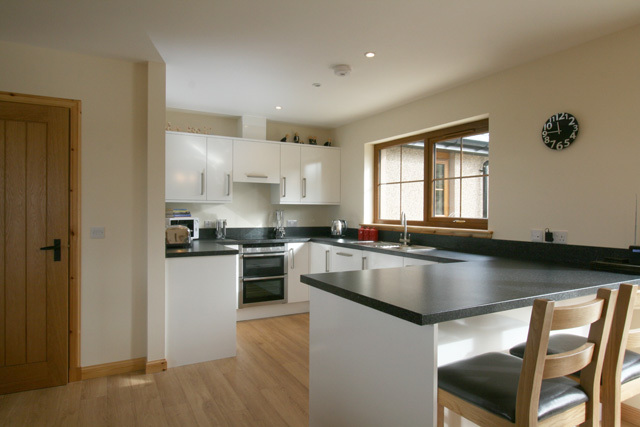 Kitchen, electric oven & hob, fridge, freezer, microwave, dishwasher, and all the usual kitchen equipment. Dining area with table and seating for six, patio door with access to the garden. Bedroom with king size bed, flat screen TV. 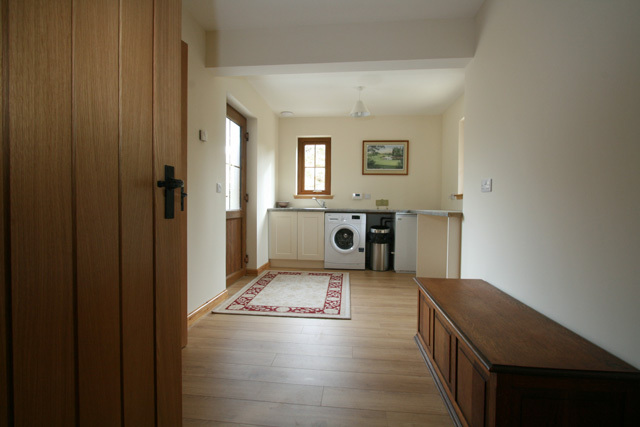 Bathroom, double ended bath, separate shower, whb, wc, heated towel rail. Shower room, shower, whb, wc, heated towel rail. Two pets are allowed at the property, however please note that the garden is not fully enclosed. 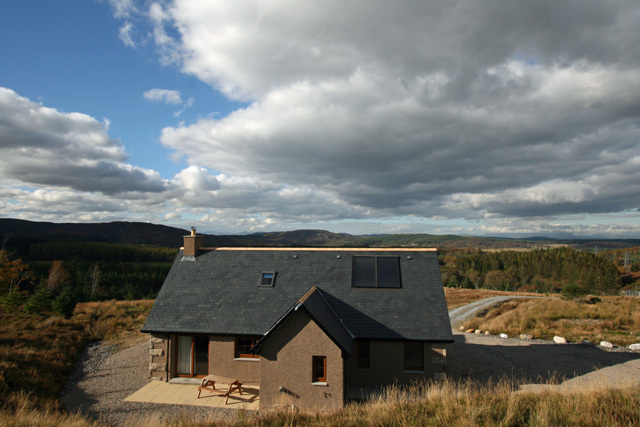 Newly completed property in an elevated postion with magnificent views. 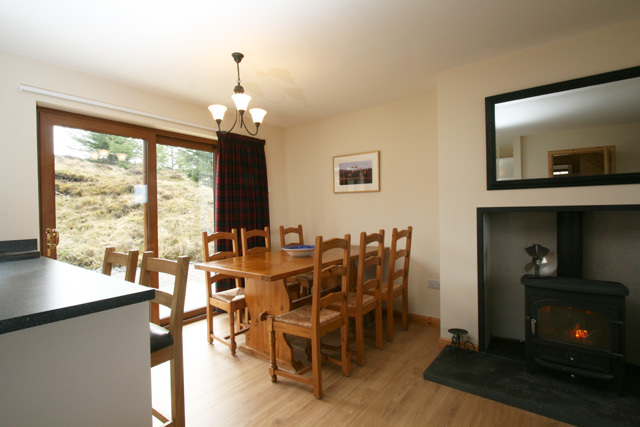 Ideally placed to enjoy the quiet South side of Loch Ness. Just a short distance from the main road routes north and south. Lovely cottage in great location. Weather foul but that's Scotland. Wooden floors throughout are great for dog owners but very slippery for the less mobile as is the shower cubicle in downstairs en suite. A towel rail near the sink and shower would be helpful with a rubber mat for the shower. 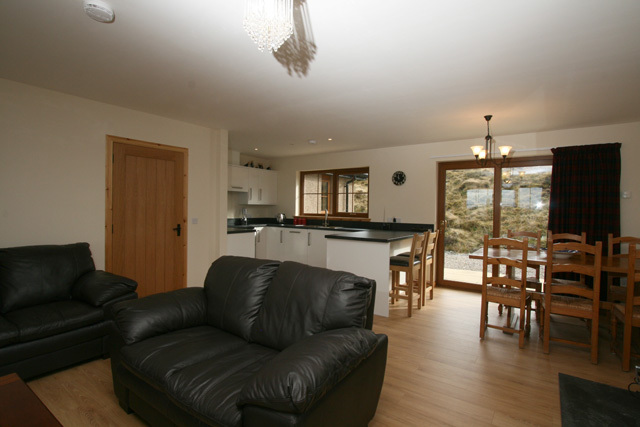 This said this is a quality cottage with all requirements for a great holiday. Nice cottage, clean, easy and friendly. We enjoyed our 3 weeks holiday very much! Great location with fab views, comfortable well equipped house, remote feeling but not far from loads of places to visit and walk, ski, climb also love that you take dogs...thank you! 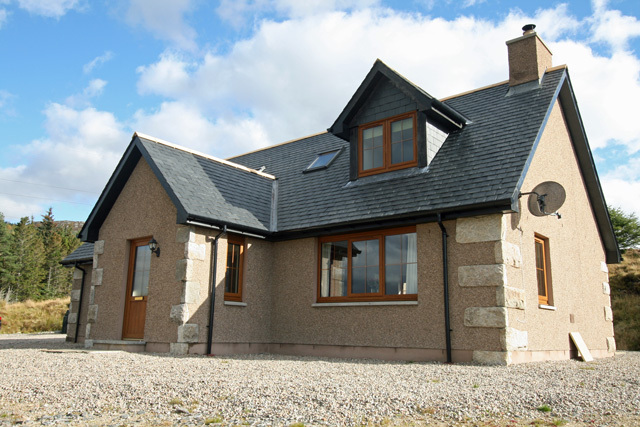 Carn Loch Cottage is a very comfortable and well equipped holiday cottage in a quiet and peaceful setting. The views from the front windows are spectacular, especially when the distant mountains are covered in snow. 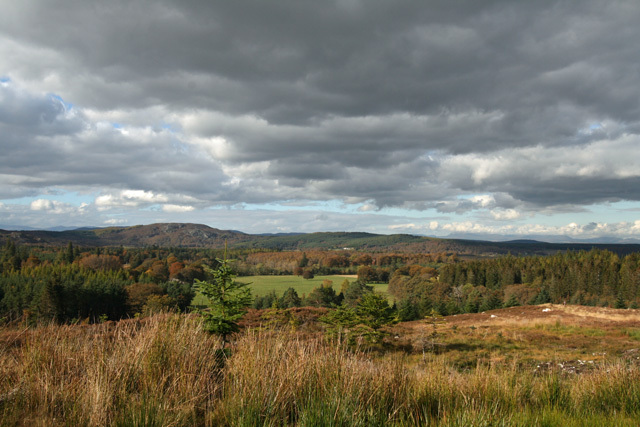 Although the cottage is in a quiet, isolated location, it is only 20 minutes or so from Inverness, the A9 trunk road and Fort Augustus is also easily accessible. The only problem we had was that despite all the water being very hot in the kitchen sink and washbasins, the bath water was only hand warm, and we had to boil kettles and pans in order to get it to temperature. That having been said the property is lovely and warm throughout, the underfloor heating is effective and the wood burner is a welcome source of additional heat when the temperature outside is low. We will definitely stay there again and that is the acid test for any property. Great cottage superb views, very dog friendly, will definately stay here again. Owners very helpful.